This is the book on which the movie 2014 is based. What an eye-opener this is! D’Souza is Indian born and a student of Obama’s life and what makes the man tick. After thinking he had Obama figured out, he finally came to the conclusion that Obama is living out the life of his activist (and drunken, wife-deserting) father. Obama’s book was not “Dreams OF My Father” but “Dreams FROM My Father.” This is a neo-anti-colonial view that America and Great Britain have stolen the wealth of the rest of the world and it is time to give it back. The old colonialism was, of course, the spreading out of the British Empire (on which “the sun never sets”) into third world countries and basically controlling them and their resources. Neo-colonialism is what is taking place today—that is doing the same but through world economy and world markets. Obama is in the business of evening that score and giving America’s and Britain’s wealth back to those countries, or to any disadvantaged group which has suffered during the last 100 years. D’Souza believes this theory can be tested by any Obama policy today and will be found true. The book moves quickly from Obama’s childhood to his young and wild years to his political career. 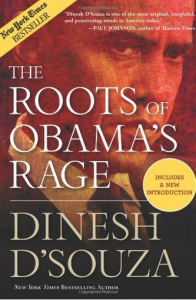 D’Souza insists that Obama is not a real black American but a man from a totally different background who adopted the black culture as his own for political gain. His policies show that he has little sympathy for the civil rights cause, his cause being much more global than that. A fascinating read.